• Hildur Ingveldardóttir Guðnadóttir (b. 1982) is a cellist and composer. Best known for her collaborations with Múm and guest appearances with Pan Sonic, she has a rich catalogue of collaborations and varied projects behind her. • Guðnadóttir began playing cello as a child, entered the Reykjavík Music Academy and then moved on to musical studies/composition and new media at the Iceland Academy of the Arts and Universität der Künste in Berlin. Back in Iceland, she became very active in the neu-Iceland scene as a member of Kitchen Motors, a Reykjavík based think tank, record label and an art collective along with internationally renowned composer Jóhann Jóhannsson. • In 2004, she started playing with the band Angel (Ilpo Väisänen and Dirk Dresslehaus). Around that time she made an album with Dirk (Mr. Schmuck´s farm), and went on to play live Pan Sonic, later collaborating on their album Cathodephase. • She released her first solo album, Mount A, under the artist name Lost in the Hildurness, on the Reykjavík based label 12 Tónar in 2006. The album was recorded in New York City, and at ‘Hólar in Hjaltadalur’, a historic spot in Iceland with a house named Audunarstofa. The old house is constructed from Norwegian wood and was chosen for its excellent cello acoustics. Guðnadóttir played all the instruments on the album – vibraphone, viola da gamba, harp and vocals. • This album was originally released by 12 Tónar in 2006 under the moniker 'Lost in Hildurness'. The first solo recording from Hildur Guðnadóttir (who is a member of the Nix Noltes band and has performed regularly with múm and Pan Sonic). In her dreamy soundworld she plays the cello, gamba, zither, khuur and the gamelan so this cd sounds like nothing else. This is exciting, tranquil, and melancholic stuff and at times it makes you think of a lost place and times gone by - and the music has the power to take you there. Recording sessions took place both in New York and in a house in Hólar, Iceland, specifically chosen for its good cello acoustics. It is strictly a solo album, Hildur has attempted to "involve other people as little as I could." Like the cover art, it is personal and intimate. • It has been called "the perfect soundtrack to get lost in a forest at night", but this version, remastered by Denis Blackham, sounds fresher and better than ever. • Guðnadóttir is a member of Storsveit Nix Noltes (The Nix Noltes Big Band), a rotating cast of 7 to 10 Icelanders playing traditional Bulgarian and Greek dance music. The group has toured the US twice supporting Animal Collective. • She has also played frequently with field recording artist and performer BJ Nilsen; delicate duets that conjure somber rapture of multi tracked cello - Guðnadóttir’s live playing augmented by laptop loops. 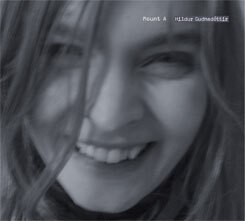 Guðnadóttir has collaborated, played and recorded with other artists such as Skúli Sverrisson, Hilmar Jensson, Hafler Trio, Jóhann Jóhannsson, Nico Muhly, Valgeir Sigurdsson, Angel, Schneider™, Ben Frost and Stilluppsteypa. • As a composer she has written music for plays, dance performances and films, pieces for chamber orchestras, various instruments, voices and electronics. Guðnadóttir likes to explore the nature and movement of sound, and often turns her experiments into sound and visual installations. She recently co-composed a live soundtrack to Derek Jarman's 1980 film In The Shadow of The Sun with legends Throbbing Gristle, arranged choir for performances by them in Austria and London.